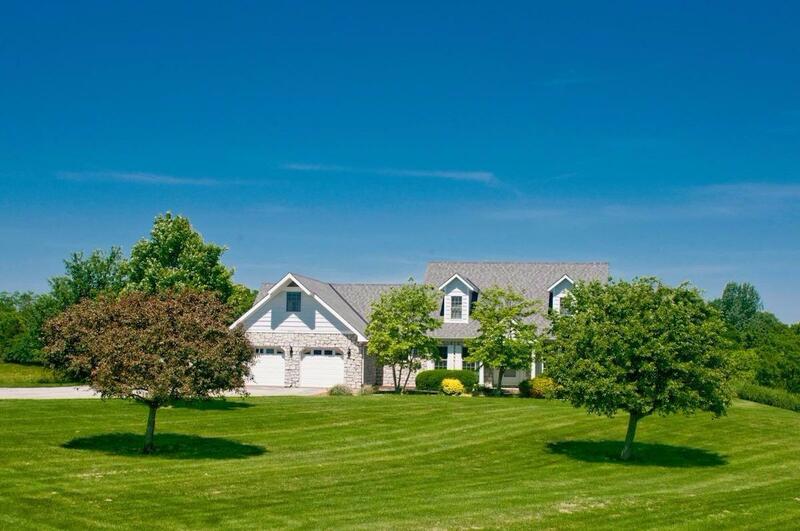 Come home to peaceful country living on 5 private rolling acres & scenic views. This beautiful 3700+ sqft home features 1st flr MBR suite & lndry, formal DR, study, hickory wood flrs, 3 large 2nd flr BRs w/2 bonus dormer rms, cvrd rear deck, 2 HVAC systems, 40X30 pole barn with utilities. ADDITIONAL 14+ ADJACENT ACRES AVAILABLE.